Sail your ship on by. World of Warships: Legends is bringing its unique form of naval warfare to consoles, so you can finally jump on the bandwagon with the rest of the players out there who discovered a long time ago that large-scale ship battles with historically accurate warships is actually a lot of fun. The game will feature a selection of different changes to its typical gameplay, but its graphics engine has also been revamped significantly to help enhance the game no matter which console you're playing it on. It's projected to bring its 9v9 naval battles to consoles in 2019, though right now there isn't a projected release date beyond that. The normally free-to-play game hasn't announced if it will receive physical releases on consoles or if it will feature any new content exclusive to them, but we'll likely be hearing more about all of that as the months wear on. 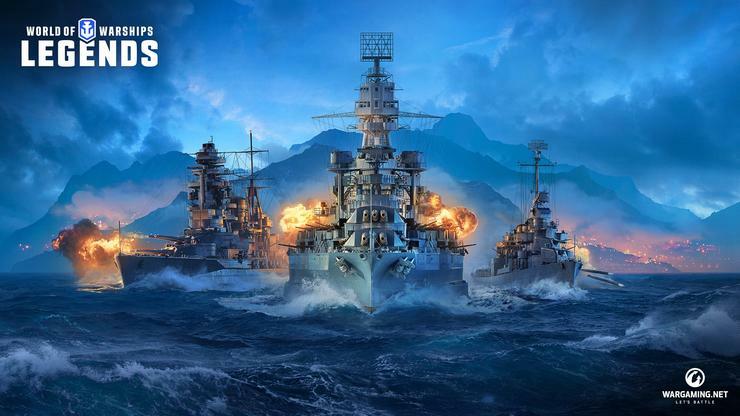 Have you been playing the PC version of World of Warships? Are you looking forward to trying out the console version? Let us know! You never know, the Shacknews crew might want to get involved, too! Big ol' ship battles are for everyone, after all.